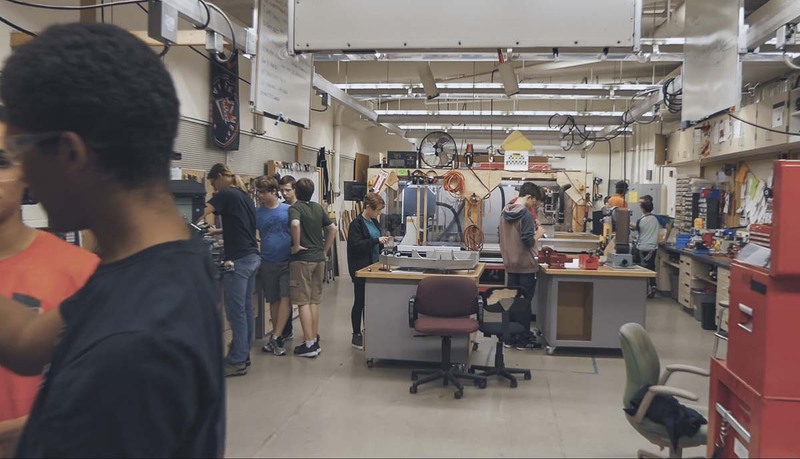 CAMAS — The unassuming facade of Liberty Middle School’s northern side hides one of the most advanced and technologically intricate facilities in the region. CNC machines, metal lathes, band saws, and enough computers to be reminiscent of Star Trek, line the walls. And it is staffed by high schoolers. Team 2471 is a competitive robotics team comprised of students from Camas, Hockinson, Discovery, and Washougal high schools. Together they design, build and compete with original robots every year. Thornley became involved in the early days of the team. After retiring as a mechanical engineer, he was interested in becoming a part of the program, and discovered a team in his own community. 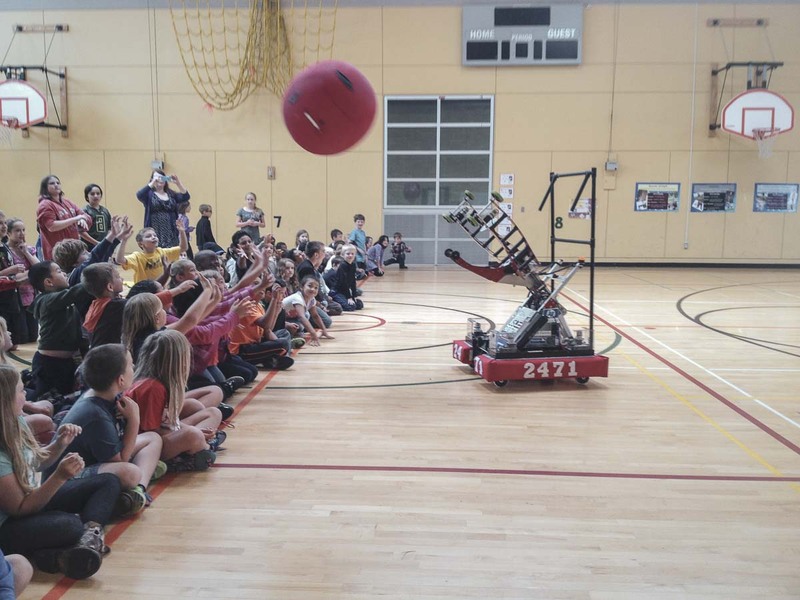 The team, which began in 2007, is connected to the greater world of robotics through a program known as FIRST, or For Inspiration and Recognition of Science and Technology. FIRST was founded by the inventor of the Segway and american engineer, Dean Kamen, in 1989. The team currently has close to 60 members with three upcoming projects to complete, in what is their preseason. The official competition season starts at the beginning of next year. In the meantime, students are collaborating on a T-shirt cannon and components for their main competition robot. The multilevel process of preparing for competitions starts with the designing of the robot. This too, is accomplished by students through computer aided-drafting and graphic concepts. From there, the team members assigned to work in fabrication, begin fashioning the parts needed to construct major components. By way of computer controlled milling, metal lathes, all manner of precise hand tools, and the occasional whack with a hammer, the team produces everything needed to bring their robot to life. The final step before tuning can begin is the programming. Students trained in software development and implementation, install computer codes that will be the brain operations of the robot. Together, all the levels of production are designed to model a real-world business, said Sarah Gondek, another team mentor for Team 2471. Funding for Team 2471 is almost entirely sourced through donations from corporate and individual sponsors. Everyone from Boeing to Microsoft, Fisher Investments to U.S. Digital, and even HP, are supporters for the team. The team’s budget ranks in the tens of thousands of dollars, averaging approximately $1,000 per student that participates. John Lange, is the student team captain for Team 2471, and manages all the business elements of the group, including sponsor relations. With the competition season only three months away, Team 2471 will gear up in the coming days through a series of practice competitions, trainings and courses to teach students how to operate their new robot. To find more information on Team 2471 or robotics competitions, visit the team’s website or check out their Facebook page and Youtube Channel.